“We get a lot of people who want to learn at their own pace, who may not want to be professional pilots but just want to go solo,” she said. 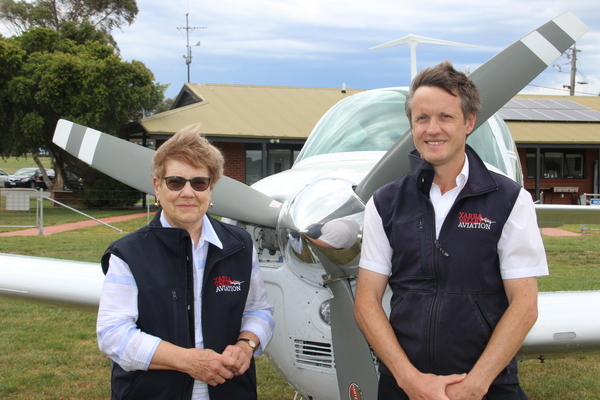 Over the years she has tried to foster women with an interest in aviation by running a Women in Aviation group and encouraging students to join the Australian Women Pilots’ Association. “With the current shortage of pilots there has never been a better time for women or young girls to get involved in aviation,” she said. “Yarra Valley Aviation, our air charter service, can fly anywhere in Australia at anytime. We have Pilatus PC-12 aircraft that can fly eight passengers to Sydney in just 90 minutes and go anywhere in Australia with just 1 stop,” Jonathan Merridew, Operations Manager, said. For those looking for a personalised experience, Yarra Valley Aviation has put together ten of its most popular adventure packages. These include the Feel the G-force aerobatic experience for thrill seekers, wine tasting and lunch at Brown Brothers, King Island indulgences or a mountain bike trek from Mt Beauty to Mount Hotham. The service extends to tailoring personal experiences to take people anywhere they want to go, to an event they don’t want to miss or a place they just have to see.